Last week Jews in their homeland and throughout the Diaspora celebrated Israel’s 70th birthday. They revelled in this small, young country’s amazing achievements – its military prowess, economic strength, vibrant culture and breakthroughs in science, technology, medicine and more. Despite its precarious beginnings, four major wars and the constant threat of war, the nation thrives. Yet not everyone was content to merely “kvell.” Some voiced grave concern over short-sighted, hyper nationalistic trends and the failure to make progress on the Palestinian issue. Here’s a small sampling of the more sober reflections. Peace Now celebrated Israel’s 70th with a special “Shalom” flag to stress the need for peace. A hard-hitting lead editorial in Ha’aretz asks whether Israel’s achievements are “enough to erase the sin of the occupation that is spreading through the depths of its soul”. Grossman concluded his moving address with his dream for a better future, in words that seem to echo those of the late Martin Luther King. Another powerful speech was recently delivered by Justice Rosalie Abella at the Hebrew University’s Minerva Center for Human Rights. The address was not directly related to Independence Day, but it was reprinted as part of the Times of Israel Independence Day coverage. Justice Abella is the senior judge on the Supreme Court of Canada and a daughter of concentration camp survivors. In a moving cri de coeur, she spoke about the importance of an independent judiciary to democracy and her concern that this principle has been under attack in Israel. “As a Jew, it made me particularly proud to watch how the Israeli judges became icons internationally. And so, as a Jew, it has made me particularly sad to see the judiciary’s noble mission and legacy under rhetorical siege here. To me when an independent judiciary is under siege, democracy is under siege, and when democracy is under siege, a country’s soul is being held hostage. What is most alarming to me about this ongoing attempt to delegitimize the reputation of the judiciary is that it is being done in the name of patriotism. This, to me, seems somewhat perverse. Patriotism means upholding the values on which your country is based. Those values in Israel are Jewish and democratic. They include respect for human rights, tolerance, equality, and dignity. That is what being patriotic means. Yet in championing those values, the Israeli judiciary finds itself demonized by some for being independent from political expedience and immune to political will. We conclude with a message from our sister organization, Peace Now/Shalom Achshav in Israel. 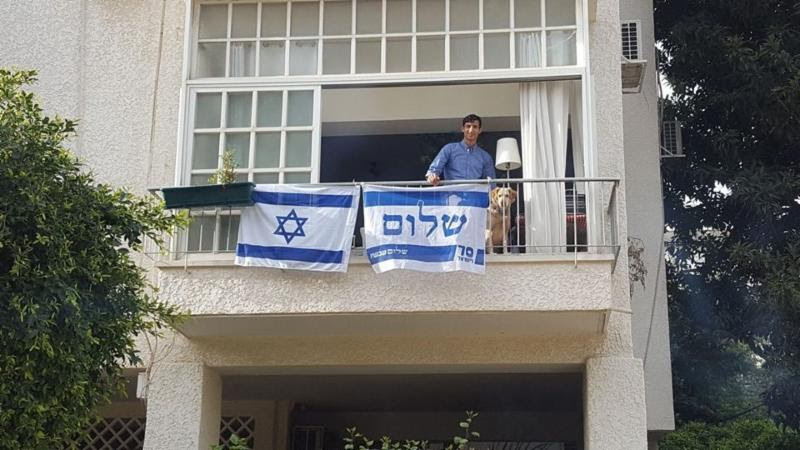 This Independence Day, Israelis have been asked to reflect on what there is to be proud of. In honor of this theme, we want to express our pride and appreciation for the hundreds of dedicated activists and tens of thousands of Israelis who took part in our our activities this past year. We are proud to live in a country where concerned and caring citizens go out to the streets and exercise their civic duty, particularly those who do so to push their government to pursue every avenue for peace. Even in its 70th year, we at Peace Now struggle for Israel’s future, which can only be secured with a coordinated end to its rule over the Palestinians and a negotiated two-state solution. Jerusalem expert Daniel Seidemann pointing out disparities between Jewish and Arab parts of the city. 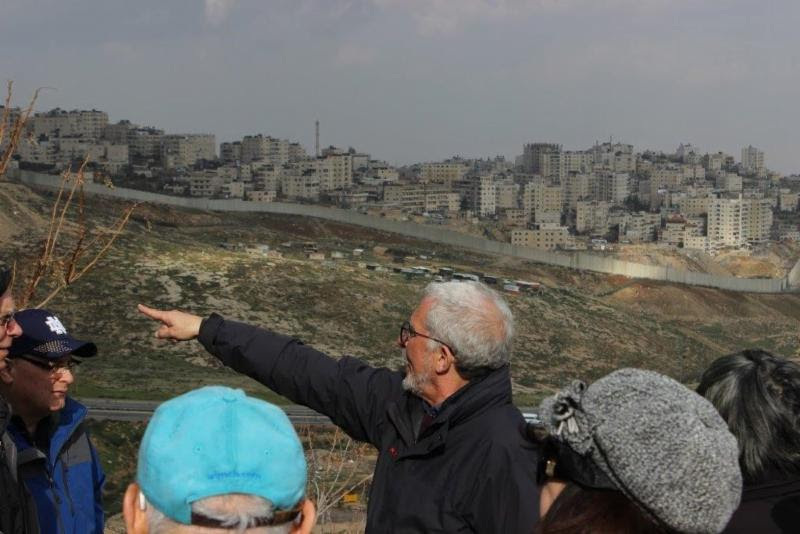 Last month, CFPN board member Bob Katz went on a study tour to Israel and the Palestinian territories that moved and surprised him and deepened his concerns about the conflict, but also gave him new reasons for hope. His main tour, Feb. 17-22, was hosted by Americans for Peace Now, our sister organization in the U.S., and included meetings with high-level leaders and experts, both Palestinian and Israeli. Some of the impressive names on the tight-packed schedule were: Saeb Erekat of the PLO, Khalil Shikaki, distinguished Palestinian pollster, Amos Schocken, publisher of Ha’aretz, Benny Begin, Member of Knesset (Likud), Aymen Odeh, MK (Joint List), Merav Michaeli, MK (Zionist Camp), and Mossi Raz, MK (Meretz). There were also discussions with human rights leaders, security analysts, Palestinian youth, entrepreneurs, Peace Now/Shalom Achshav staff and activists and a spokeswoman for settlers. Participants toured parts of the West Bank. In addition, Bob took a private tour with a Palestinian tour company. PeaceMatters asked him about his impressions and insights. Q. What were the some of the encounters that stood out for you? A. So much stands out. I was very impressed with Hagit Ofran, who has long been a leader of Shalom Achshav’s Settlement Watch program. She has a well-deserved reputation as one of Israel’s most knowledgeable and prominent experts on settlement growth and as a principled advocate for fair treatment of Palestinians. Hagit took us to Ariel, a settlement deep in the West Bank, which was a deal-breaker in Ehud Olmert’s attempt at an agreement with the P.A. in 2008. She also explained some of the legal complexities – arcane Ottoman-era laws and “security” concerns – that serve to privilege settlers, disadvantage Palestinians and entrench the settlement enterprise. Of the Palestinians we met, I was very taken with Dr. Khalil Shikaki, who heads the Palestinian Centre for Policy and Survey Research. Dr. Shikaki is a strong advocate for both Palestinian rights and a peaceful, two-state solution. Although his loyalties are to the Palestinians, he is also senior fellow at the Crown Center for Middle East Studies at Brandeis University. He is a very highly regarded social scientist, with a special interest in polling. He polls Palestinians and works with colleagues who poll Israelis. Shikaki is concerned about the deteriorating situation, caused by divisions among Palestinians, the lack of peace prospects and the growing frustrations of youth. At present, youth are questioning secular nationalism, not because they are religious, but because they perceive it as failing. But if secular nationalism fails, Islamism and the one-state ideology will prevail. The present secular system, administered by the Palestinian Authority within the limits Israel permits, lacks credibility There are no elections, the government is corrupt, the judiciary has been marginalized, and the P.A. does not value free speech. Q. So Shikaki was openly critical of the P.A.? A. Absolutely. But he’s too prestigious for the P.A. to get rid of him. Q. Did Shikaki have anything hopeful to say? A. In a way. Although his polling shows that support for the two-state solution is declining among both Israelis and Palestinians, this trend is not as bleak as it may seem. If the polling question includes what Shikaki calls a “sweetener,” responses are more positive. For example, if the question posits that a two-state solution would include a symbolic right of return for Palestinian refugees, support among Palestinians goes up. If the two-state solution would lead to a democratic Palestine, support rises among both Israelis and Palestinians. Shikaki has developed a series of such “sweetener” propositions, which demonstrate which concessions might make the peace process possible. Q. Who else impressed you? The other Likud MK we with met with was Yehuda Glick, a staunch religious Zionist, with controversial and, to my mind, contradictory views. He spoke of a vague “federation of states” and of giving Arabs “full voting rights” but I sensed he was deliberately proposing an impossible solution as a stall and an excuse for continuing the status quo. Q. Why did the tour include meetings with right wingers? Q. What else surprised you during your tour? A. I was amazed to see cars with both Palestinian and Israeli license plates on roads in the West Bank because I’d thought Palestinians were barred from sharing roads with Israelis. This is a common misconception. They have free access to the highways thanks to a Supreme Court ruling (although the private side roads to the settlements are a different matter.) This shows there has been some change for the good. However, this positive was offset by many negatives I witnessed or learned about. For example, the tensions in Hebron, the overbearing separation wall in Bethlehem, accounts of how Israel is pushing some Palestinians out of their homes in East Jerusalem, accounts of P.A. corruption, Israeli government attempts to muzzle left-wing organizations, and the concern, expressed by many, that peace is becoming ever more elusive. Q. What did you learn about the P.A.’s policy of “non-cooperation” with Israel? A. The P.A. leaders are in a bind. They do not want to cooperate with, and thereby be seen as legitimizing, the occupying power. But they are responsible for making the West Bank function, despite the occupation. For example, to obtain for East Jerusalem the same municipal services (e.g. water, sewage, garbage and policing) that are enjoyed in the western parts of the city, the P.A. must set up community councils and make formal requests to the Israeli government. But that would entail “cooperation with the occupation.” So there are no councils, and East Jerusalem remains unserviced. So too, when the new West Bank town of Rawabi was nearly completed, the P.A. did not want to ask Israel to provide water and electricity (for which Israel would charge). There was a two year delay during which apartments remained empty and debt mounted. The Palestinians lose a lot by not cooperating with Israeli authorities, but from their point of view, the more they cooperate, the more they normalize Israel’s presence on their land. 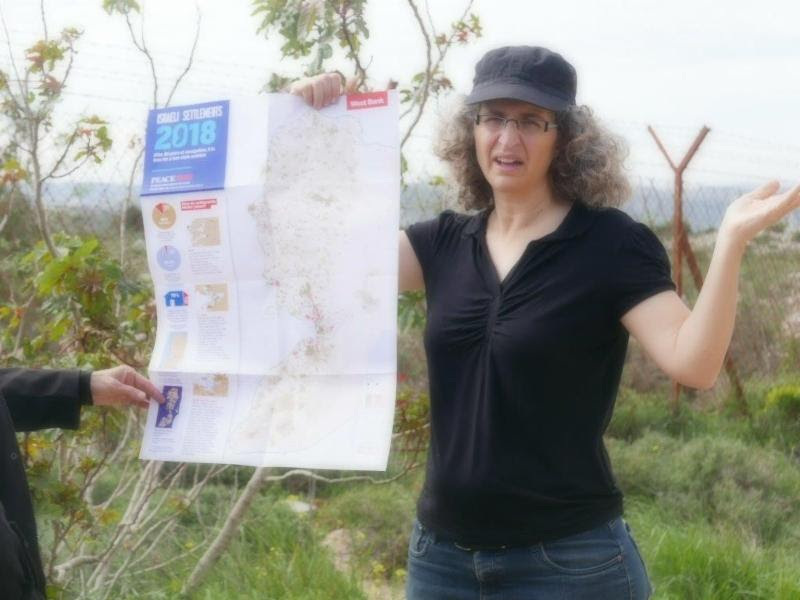 Hagit Ofran of Shalom Achshav shows how settlements are spreading throughout West Bank. Q. What during this tour gave you hope? A. I was inspired by the staff and activists of Shalom Achshav. They are young, enthusiastic, knowledgeable professionals who appear to be making a difference in the face of a seemingly intractable government agenda. When people like that are working for peace, it can’t all go downhill. Q. Did the tour change your views? A. It redoubled my commitment to the two-state solution. One of the people we heard from was Brigadier-General [ret.] Udi Dekel, Managing Director of the Institute for National Security Studies. He is a pragmatist whose focus is security. Every year the Institute assesses all the options – one state, two states, annexation, federation, and various combinations. The analyses always show that the best option by far, from a security perspective, is two states. In other words, it’s in Israel’s self-interest. It’s been a busy winter so far for Shalom Achshav/Peace Now, our sister organization in Israel. Here are some of the highlights of recent weeks. Peace Now is vigorously protesting attempts to delay the demolition of the illegal outpost of Nativ Ha’Avot, built on private Palestinian land, in the Gush Etzion region of the West Bank. Israel’s High Court has ordered the outpost be razed, but settlers are using their considerable influence to thwart the ruling. 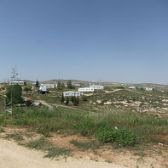 Jewish settlers brought the first caravans to the site in 2001, after preventing the Palestinians who owned the property from working their land. The Palestinians sought court action, in part with the help of Peace Now. Eventually, in September 2016, the High Court ruled that the outpost is indeed illegal and must be demolished. The settlers pressured the government to resist this ruling and the government has acceded to their pressure through delaying tactics. The state has urged the High Court to postpone the demolition for three months to give time to build an alternative community on an adjacent hilltop. In addition, the delay would allow advancement of another plan to grant post-facto building permits to seven of the 15 homes slated for demolition on the grounds that they sit only marginally on land that does not belong to the state. Peace Now has gathered extensive evidence to show that: 1) all the land in question is Palestinian owned; 2) the government’s attempt to claim some of the property for the state is based on a questionable, self-serving interpretation of 19th century Ottoman law; 3) the settlers have no legitimate claim to any of the property, have never paid for any of it, and should not be allowed to get away with theft. The state plan to build the alternative community will cost the Israeli taxpayer about $15 million, according to a report in Ha’aretz. Thus, settlers will be richly rewarded for their land grab, as has happened in the case of other outposts. 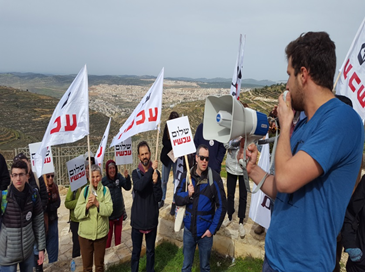 On Feb. 15, Shalom Achshav held a protest and educational tour at Nativ Ha’Avot attended by Members of Knesset, journalists and activists, as well as representatives of the Palestinian land owners. The peace organization continues to expose the facts of the case and to speak out against the state’s delaying tactics. Another focus of Shalom Achshav protest recently was the Jewish National Fund, because of its activities to drive Palestinians from their homes. A case in point is the efforts of the JNF subsidiary,Himnuta, to dispossess the Sumarin family of Silwan, East Jerusalem. For the past two decades, Himnuta has tried to remove the Sumarins from their home in order to hand over the property to Elad, a settler organization. Elad aggressively works to obtain houses in Silwan and make them available to Jews. The organization, funded by wealthy private donors, has constructed an archaeological tourist attraction in Silwan, and brings busloads of Jewish tourists into the heart of this Arab village. The ultimate goal is to change the character of Palestinian East Jerusalem and destroy the two-state solution. As a Peace Now statement put it: “The JNF may be known for planting trees, but nowadays it prefers to uproot Palestinian families and soil the Jewish legacy.” On Tu B’Shvat, the Jewish New Year for the Trees, Peace Now activists and allies barricaded the entrance to the JNF-KKL headquarters in Jerusalem to protest the organization’s collusion with Elad. In the coming months, Peace Now will be increasing the pressure on the JNF over its settlement activities in East Jerusalem. Americans for Peace Now held a fact-finding study tour February 17-22 for people who wanted to enlarge their understanding of the Israeli-Palestinian conflict. CFPN board member, Bob Katz, was among the participants and looks forward to sharing his experiences with our supporters on his return. The study tour included meetings with representatives of Israeli civil society organizations, Members of Knesset, prominent Palestinians, journalists, Shalom Achshav staff and activists, and others. Canadian Friends of Peace Now hosted lively, informative speaker programs in Toronto, Montreal and Ottawa in recent weeks. On Oct. 24, 2017, the Toronto chapter presented a talk by Maj. Gen. (ret.) Amnon Reshef, founder of the Commanders for Israel’s Security (CIS) and a strong advocate of the two-state solution. Reshef outlined ideas for holding the door open for eventual Israeli-Palestinian peacenegotiations, while improving West Bank security problems and living conditions in Palestinian areas in the meantime. Watch for a review of Shafir’s book in an upcoming issue of PeaceMatters. A new report by Shalom Achshav shows a sharp rise in settlement activity over the past year, facilitated by political vacuums in Israel and abroad. Opposition parties in Israel are weak, the U.S. administration lacks a clear policy on the Israeli-Palestinian conflict and Europe has become less engaged in the region. The Netanyahu government has taken advantage of these trends to accelerate the settlement agenda. Netanyahu has no interest in de jure annexation of the West Bank, with the huge complications involved. But de-facto annexation of West Bank territory continues apace. Clearly, the intent is to create facts on the ground that would prevent an eventual two-state solution. Peace Now continuously works to alert fellow citizens that the government’s annexationist policies can only lead to disaster for the country and that the door must be left open to a two-state solution. This year, the government advanced 88 plans for settlement construction, which include 6,742 housing units in 59 different settlements. This is a three-fold increase over last year. About two-thirds of the proposed units are for settlements that Israel would likely have to evacuate within the framework of a two-state agreement, as they are located outside the Geneva Initiative proposed border. Increased tenders. Since the beginning of the year, tenders have been issued for the construction of 3,154 housing units in the settlements (excluding an additional tender for the construction of 130 residential units in East Jerusalem). About half the tenders (1,533 units) were in settlements outside the route of the border proposed by the Geneva Initiative. The new settlement of Amihai was approved for the evacuated settlers of Amona, an illegal settlement that was finally ordered demolished after years of court battles. There were a number of other, similar actions: new settlements established to take the place of outposts ordered evacuated, along with the retroactive legalization of illegal construction. The policy of retroactive legalization and compensating offenders gives the green light to further illegal construction. In October 2017, the government approved 31 new housing units for settlers in the heart of Hebron. This would expand Israeli settlement by about 20% in this high-tension urban area. Security measures to protect settlers interfere with the daily life and rights of the Palestinians in the city. a two-state agreement. Construction plans involve the expropriation of extensive areas of Palestinian land. The roads in question would serve settlers’ needs rather than those of Palestinians. On September 5, 2017, the Shamasna family was evicted from its home in Sheikh Jarrah, following a claim by settlers who purchased the property with the assistance of the Israeli General Custodian. The evacuation paved the way for new construction plans that threaten the future of a potential compromise over Jerusalem as capital for both peoples. 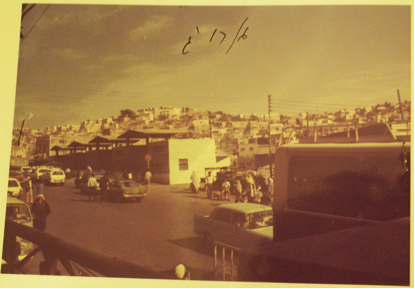 These include: four plans for settlements in the heart of the Palestinian neighbourhood of Sheikh Jarrah; some 2,000 units in Israeli neighbourhoods in East Jerusalem; and a building permit for the construction of 176 housing units for settlers in the heart of the Jabel Mukaber neighbourhood. In addition: a tender is underway for construction on Givat Hamatos; there are initiatives to remove Palestinian neighbourhoods from the Jerusalem jurisdiction and establish municipalities for them (like the Bantustans of South Africa); and plans are afoot for a new settlement of 10,000 housing units in Atarot, in the heart of the Palestinian continuum between Kafr Aqab and Beit Hanina. One of the important elements that will affect the ability to reach a two-state solution is the number of settlers Israel will have to evacuate within the framework of the agreement. Recent data indicate a worrying trend of accelerated growth in settlements that Israel would have to evacuate, based on the Geneva Initiative proposed border. As if all this were not enough, we see a softening in legal interpretations as to what is permitted in settlement activity. Meanwhile house demolitions of Palestinians in East Jerusalem and Area C are on the rise. To see the full Peace Now report: Escalation in Israel’s Settlement Policy: The Creation of De-facto Annexation, click here. As their government pulls out all the stops to celebrate the 50th anniversary of the 6-day war, Peace Now is rallying Israelis with a very different message. 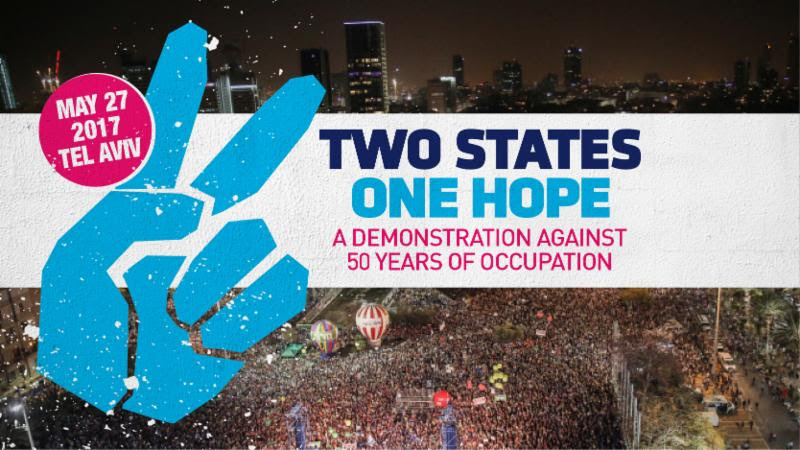 On May 27, Peace Now will hold a large demonstration in Tel Aviv’s Rabin Square under the slogan Two States: One Hope, A Demonstration Against 50 Years of Occupation. The May 27 rally will feature politicians, prominent thinkers, media people, musicians and security experts. The movement hopes to bring out masses of Israelis who are fed up with a 50-year drift towards a one-state reality that spells endless conflict. The emphasis will be on hope for a better way forward. Staging such a large event is costly, so Peace Now is appealing to Diaspora Jews to support the effort through a crowd-funding style campaign. Donations will go for signage, bringing people to the rally, livestreaming the event to the world and staging live performances. Be there in spirit on May 27. Stand with Israelis from all walks of life in Rabin Square as they speak, sing and shout out that after 50 years of occupation: Enough! *These are not tax-creditable donations. With much fanfare, the Netanyahu government recently announced a policy of “restrained” settlement building as a show of good will to the White House. Peace Now’s analysis demonstrates it’s all smoke and mirrors and that, in practice, settlement can continue apace. The policy states construction will be limited to the “built-up area” of a settlement, with use of adjacent or nearby lands supposedly only as a last resort. This makes it sound as if the growth will be fairly circumscribed. However, many West Bank settlements tend to be amoeba-like. Definitions of “built-up areas” can be fuzzy. Many settlements have far-flung “neighbourhoods” that, if used as the basis for the “construction line,” would permit massive expansion, allowing the settlements to grow many times over. In effect, the policy enables settlers to build everywhere – inside, adjacent to or outside their settlements. The fact that the settler council has expressed satisfaction over the new policy shows it to be a bogus restraint. The map below of the settlement of Ma’ale Adumim illustrates the problem. The yellow line indicates the built-up area. The black line shows the location of the security fence. The blue shading shows the jurisdictional area of the settlement. All this could potentially be used for new construction. To add insult to injury, the Israeli cabinet recently gave the green light to three major settlement initiatives. These are: 1) the establishment of a new settlement, deep in the West Bank and for the first time since 1991; 2) the publication of tenders for nearly 2,000 housing units; 3) and the declaration of almost 1,000 dunams as “public lands,” otherwise termed “state lands,” that will enable the retroactive legalization of three outposts located north of Ramallah and deep in the West Bank. Peace Now has vigorously protested these actions. 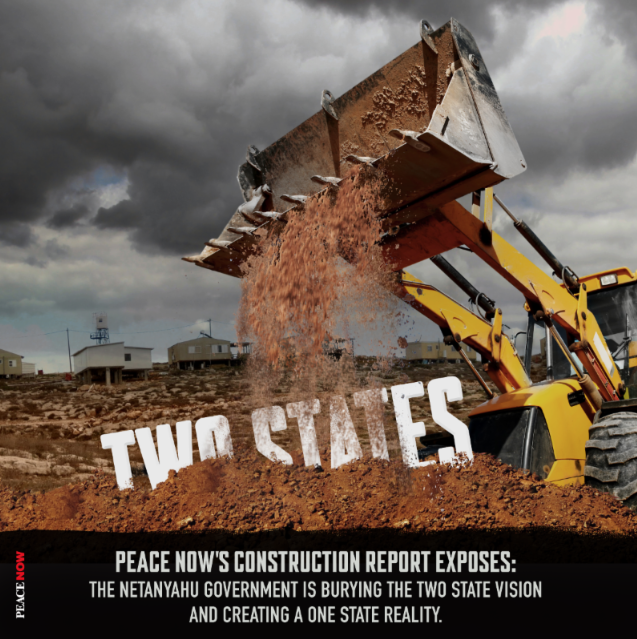 Peace Now research reveals a whole system of dubious mechanisms that enable settlers to construct outposts and unauthorized buildings while the government winks and colludes. Since the mid-1990s settlers built nearly 100 illegal outposts and built dozens of neighbourhoods and illegal projects. Peace Now’s data exposes a process parallel to official planning that bypasses the law. The Israeli government enables the illegal system to exist by cooperating directly with three settler bodies, by abstaining from law enforcement or prosecution and by retroactively legalizing illegal constructions. Through these mechanisms, Israeli governments have allowed a small group of settlers to set Israel’s settlement policy and thereby determine the future of Israel. Denis Charbit-speaker at the Segal Centre (5170 Ch de la Côte-Sainte-Catherine). Colliding Dreams: feature documentary on evolution of Zionism. St Paul Univ. Auditorium, 223 Main St., Ottawa. $15 pre-registered, $20 at door, $10 students. Register at collidingdreams2017.eventbrite.ca. More info.:goliger@rogers.com. Israel at Risk: Preserving the Two State Option. Joint CFPN/Darchei Noam lecture event with Dr. Michael Koplow of the Israel Policy Forum. At Darchei Noam, 864 Sheppard Ave West. $5. Please register online; details available soon. Israel’s Supreme Court also sits as the High Court of Justice. In this capacity, it has original jurisdiction over civil rights cases filed by citizens against government entities such as administrative agencies. Together with other organizations, Peace Now has submitted a petition to the High Court of Justice against Israel’s new expropriation law, passed on Feb. 6, 2017 and also known as the legalization law or the regulation law. The law allows for the expropriation of private Palestinian land in the West Bank. The petitioners requested the High Court to issue an interim injunction, which would prevent the implementation of land expropriation processes until a final decision is issued by the Court. The petition elucidates the ways in which the expropriation law violates basic human rights and contradicts Israeli law and international humanitarian law, as well as provisions of the Rome Statute of the International Criminal Court. Violations of the Rome Statute could put officers, MKs and Israeli citizens at risk of being tried in the International Criminal Court. As revealed in data collected by Peace Now, the law could lead to the expropriation of over 8,000 dunams (approximately 2,000 acres) of private land on which there are illegal settlement structures, and tens of thousands of dunams of agricultural lands used by settlers. The lands slated for expropriation are owned by thousands of Palestinians, if not tens of thousands, many of whom are represented in the petition through Palestinian local councils. The law does not permit Palestinians, who did not elect the parliament that decided to expropriate their lands, to resist the expropriation procedure. The Knesset passed the law despite the clear and stated opposition of the Attorney General, the Knesset Legal Advisor and the legal adviser to the Ministry of Defense. The legislation process itself exceeds the authority of the Knesset, which is not authorized to regulate the land laws outside of the sovereign borders of the State of Israel. To date, and for nearly 50 years, Knesset legislation in relation to the West Bank was limited to individual legal rights – applying only to Israeli citizens who live in the West Bank – while legislators refrained from directly administrating the area itself. Legislating this law is a clear act of sovereignty, and thus constitutes unlawful annexation. Peace Now staffer Yotam Yaakoba talks to youth about realities beyond the Green Line. Recent opinion polls show a disturbing trend among Israeli youth: they are becoming more hawkish and less concerned about peace, democracy and human rights. To help counter this trend, Shalom Achshav (Peace Now) in Israel is running an educational project aimed at Israelis, aged 17-19, who are in their “gap year” – between high school and military service. The project – funded by Canadian Friends of Peace Now – will expose about 2,000 youths to a different narrative about peace building and democracy than that which they normally receive. Normally, Israeli high school students have very little exposure to the reality beyond the Green Line. Their education is based on a highly one-sided narrative – one which erases the Green Line, demonizes Palestinians and creates rifts between different groups inside Israeli society. As a result, they are prey to hard liners. Even those inclined to dovish views may be handicapped because of being isolated and vulnerable if going against the establishment message. Over the next five months, Shalom Achshav will hold a series of talks on peace and democracy issues for gap-year youth throughout the country. Dynamic speakers from among Shalom Achshav staff and volunteers will be the presenters. It is hoped the participants will gain resources, tools and peer support to become peace champions and change-makers of the future. Canadian Friends of Peace Now is proud to be a partner in this important project. On March 22, the Israeli Central Bureau of Statistics (ICBS) published its data on construction starts for 2016. According to the ICBS, during 2016, 2,630 housing construction starts took place in West Bank settlements. This is a 40% (39.6%) increase compared to 2015 (1,901). Furthermore, this is the second highest number of construction starts in the past 15 years (since 2001). The only year during which more construction starts took place was 2013 (2,874). It is worth noting that the 2016 figure is likely to grow, as the ICBS updates its data in the months after its publication. On average, since 2001, 1,790 housing units begin to be constructed in West Bank settlements each year. In 2016, construction starts surpassed the yearly average by 840 housing units. Based on ICBS data, since Netanyahu took office in 2009, over 14,000 (14,017) housing units began to be constructed in the settlements. If you care about Israel, about the Israeli-Palestinian conflict, about Israel’s future as a democracy and a Jewish state, this podcast is for you. Episodes feature experts, activists, advocates and scholars whose work or passion is Israeli-Palestinian peace. Shalom Achshav/Peace Now has been pushing back against right-wing trends in Israel through a wide-ranging campaign to enlist the talents and passion of young people. After all, they are the ones who have the most to lose if their country continues down its current road towards a violent one-state reality and who could potentially help turn things around. To engage youth, our sister organization in Israel has revived branches at every important university campus in the country, recruited thousands of new activists and held training programs on how to effectively advocate for Israeli-Palestinian peace. Part of these efforts has been the Youth Ambassadors Project, proudly funded by Canadian Friends of Peace Now. 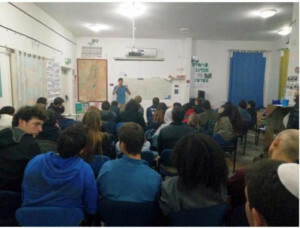 During the $25,000, six-month project, Shalom Achshav recruited about 100 youth with leadership potential for a program designed to increase their participation in Israeli civil society and give them the knowledge and tools to promote peace and democracy in Israel. Activities included lectures, tours and monthly meetings with peers. Much of the recruiting focused on university students. Once a critical number of “ambassadors” had signed up, they were divided into four groups, based in Tel Aviv, Jerusalem, Haifa and Beer Sheva, and a leader selected for each group. Shalom Achshav staff led initial meetings, but afterwards participants carried the ball, holding meetings on their own and inviting friends to join them. The groups also heard from high-calibre speakers. Nir Hasson, a journalist at the Ha’aretz daily, spoke to the Jerusalem group on the lives, legal status and struggles of Palestinians in East Jerusalem. Shimri Segal, formerly with the Meretz party and now spokesperson for a religious freedom movement gave a lecture to the Tel Aviv group on how ordinary citizens can make a difference to the democratic process. Yossi Tzabari, a media personality, spoke on how to expand the peace camp in Israel. Settlement Watch director Hagit Ofran covered political and legal issues related to the illegal outpost of Amona. Nadav Eyal from Chanel 10 News addressed global trends and how they relate to the political reality in Israel. In addition to these talks, there were six tours designed to give insight into realities beyond the Green Line. The East Jerusalem tour included a visit to the neighbourhood of Silwan, which is experiencing upheaval because 100 Palestinians are being evicted from their homes, to be replaced by settlers. A tour of the Bethlehem area focused on land issues in the West Bank, their different categories and legal status, along with a primer on the role of the Supreme Court. A second tour demonstrated issues related to the separation wall/fence and the settlements in the Northern West Bank. The Jordan Valley tour focused on access to land, freedom of movement and division of resources. 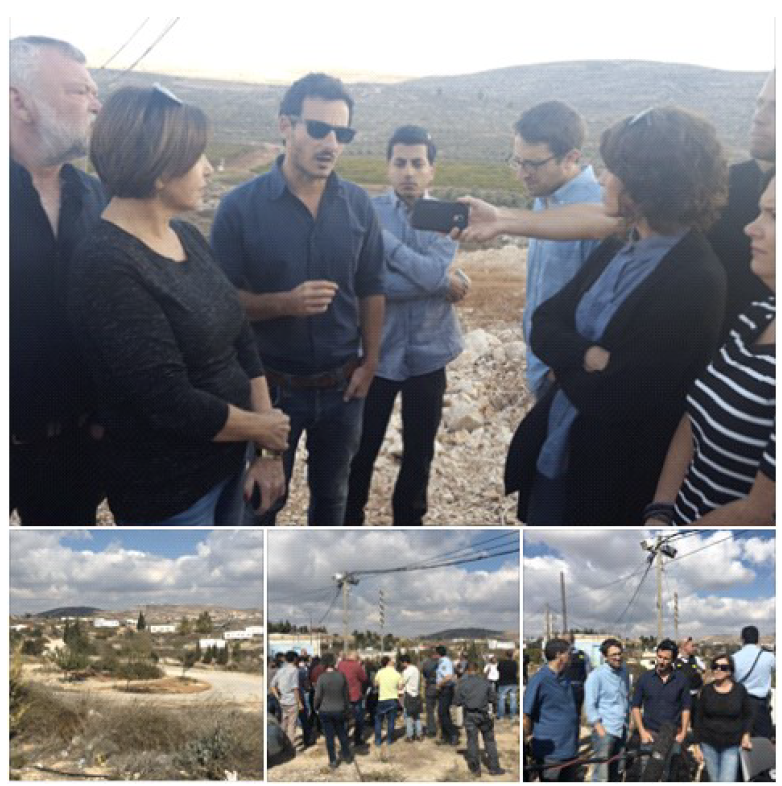 A separate tour was devoted to Amona, which has been the centre of a political storm lately. 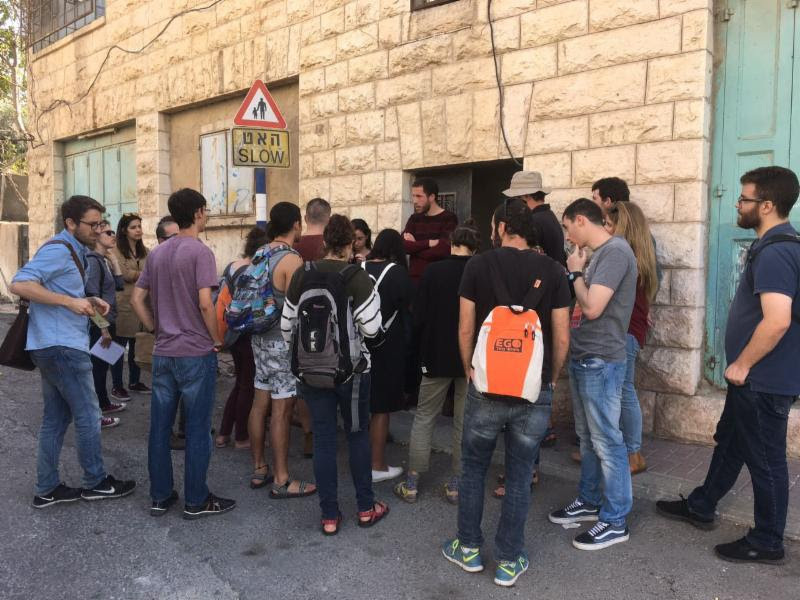 Participants learned about the history of this illegal outpost and illegal outposts in general, the legal cases around Amona, and the impact of its evacuation on the two-state solution. A sixth tour dealt with the impact of Jewish settlement and Israeli control over territory in the Hebron area. Throughout the program the young ambassadors used what they learned to bring peace and democracy messages to the general public. They created their own video promoting civic participation, set up stands to engage the public in various cities, organized lectures and held other activities. Shalom Achshav plans to stay connected with these youth and to keep them engaged in such civil society endeavours. Thank you to our donors for helping make such great programs possible. Peace Now has been unflagging in its protests against a bill before the Israeli Knesset that would legalize hitherto illegal outposts and serve to expropriate private West Bank lands from Palestinians. Peace Now has dubbed the regularization law a “grand land robbery” which severely jeopardizes an eventual resolution of the Palestinian-Israeli conflict. As part of its protest campaign,Peace Now published a detailed report exposing the bill’s wide-ranging implications. It would lead to the retroactive legalization of 55 illegal outposts and of approximately 4,000 housing units in settlements and illegal outposts located on about 8,000 dunams,Peace Now data show. Furthermore, the law would allow for the future expropriation of another 3,000-plus dunams of private Palestinian lands, which are currently in legal limbo. All told, such wide-ranging land seizures would have a devastating impact on the potential for a two-state solution. In addition to disseminating its report, Peace Now has put pressure on Knesset Members to kill the bill. 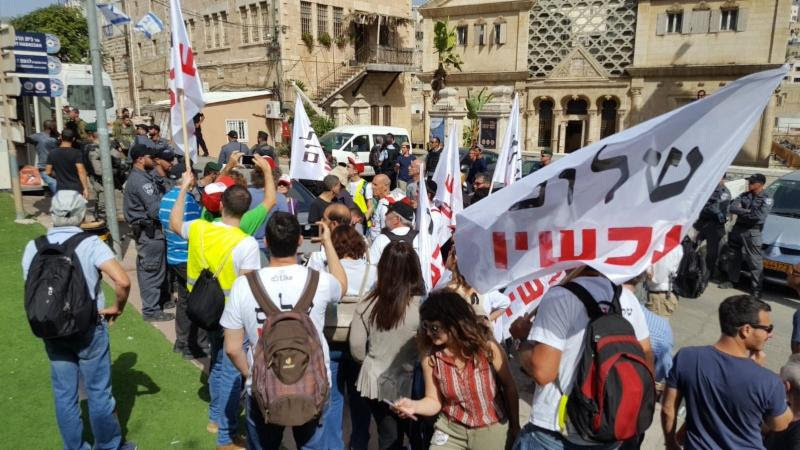 These actions included a barrage of text messages to Mks by activists, an address to the key Knesset committee by PN staff and a demonstration in front of the home of Naftali Bennett, a leading force behind the bill. A scheduled November 30 vote on the bill was postponed for a week. Prime Minister Benjamin Netanyahu himself is uneasy about the legislation and warned his ministers that it could lead to prosecution by the International Criminal Court in the Hague. Peace Now will continue its struggle against this regularization law to prevent a dangerous new assault on the two-state solution. After Israel’s Ministry of Education approved tours to Jewish settlements for high school students, Peace Now decided to offer Israeli youth a different perspective. In late November, Peace Now took 100 young people on tours of Hebron so that they could see the reality on the ground with their own eyes and understand the consequences of the ongoing occupation. How will Trump era affect peace prospects? Nov.7-This morning all Knesset Members of the Mertez party joined Peace Now on a your to Amona in order to call the government to fulfill the High Court’s verdict and evacuate the illegal outpost of Amona. settlement for them (although they currently refuse to move there) in the heart of the West Bank and with many more housing units (98 with a potential for 300, whereas 41 families live in Amona). Our exposure of the government’s plan for the new settlement resulted in a harsh condemnation by the US, and for the first time tied the military aid package to settlement developments. Last week, due to settler pressure, the government requested to postpone of the evacuation of Amona for “security reasons.” By doing so, it sent a dangerous message that the threat to use violent can change a High Court ruling. Meanwhile forces within the government are trying to pass what is known as the regularization bill. This bill seeks to legalize settlement construction on private lands across the West Bank by offering alternative lands to landowners without them having a say in the matter. This is contrary to international law and might allow settlers to build anywhere and then legalize it later, even if the land is privately owned. The government must evacuate Amona by the date set by the High Court. Not doing so will compromise Israel’s rule of law, its relations with the United States and the possibility for a two state solution in the future and all for the sake of 41 families who stole private lands. 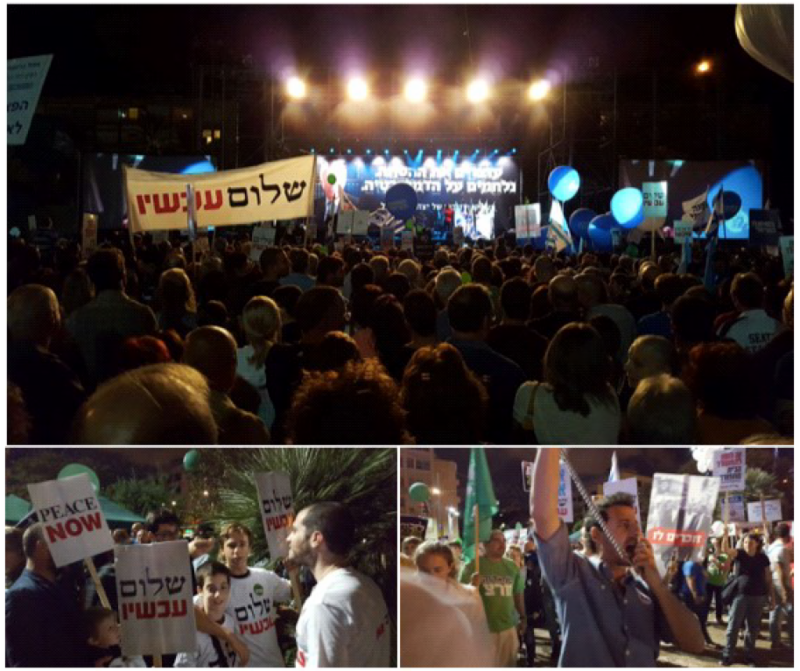 Nov.6- Last night tens of thousands attended the Rally in commemoration of Yitzhak Rabin in Tel Aviv. Tens of thousands called for the continuation of Rabin’s path a path to two states and peacewith our Palestinian neighbors. Tens of thousands protested against the current government policies and the incitement against those opposing them. Thousands of Peace Now‘s activists and supporters helped fill the square with our messages and reminded those forces within the government that try to change the narrative around the assassination, that Rabin’s murder was political and that his memorial rally has to be political as well. The tens of thousands in the square convinced us, yet again, that our path Rabin’s path will eventually prevail. Until then, we will work every day to increase support for two states among the Israeli public, and ensure the two state solution remains possible on the ground. Lara Friedman at the UNSC on Oct. 14. Netanyahu accused the two organizations of “joining a chorus of slander” against Israel. Slander is defined as making false statements in order to harm the reputation of another. Was this really slander? Or another case of Netanyahu attempting to shoot the messenger? 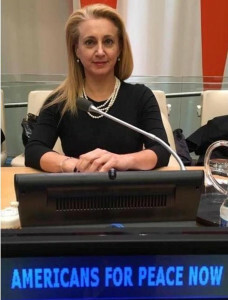 Lara Friedman of APN began her address to the UNSC by noting it wasn’t easy for her to be there because some of the very member states that had called for the meeting had abysmal human rights records themselves and some still refused to recognize Israel. She also noted an increasingly poisoned environment for civil society groups like Peace Now in Israel, which are being branded by the right as traitors. Nevertheless, APN chose to let neither concern silence its important testimony. Friedman then laid out the problematic facts Peace Now has been documenting for many years. Since 1993, the settler population in the West Bank, excluding East Jerusalem, has almost quadrupled: from 116,000 to 390,000. In East Jerusalem, the Jewish population has gone from 146,000 to 210,000. These settlement policies deepen an Israeli military occupation that involves increasingly harsh violations of Palestinian rights. The policies are also a threat to Israel’s security and to Israel’s very existence. Israel has the military capability to address its external security threats. But there is no effective or moral military answer to a civilian population reacting to perpetual occupation. If not rolled back, the settlement enterprise will destroy the chances of a two-state solution and be the end of Israel as a democracy grounded in the Jewish values expressed in its Declaration of Independence. Netanyahu’s accusation of slander seems based on the assertion that APN (and B’Tselem) “recycled the false claim that the ‘occupation and the settlements’ are the reason for the conflict.” But Friedman said no such thing. Instead she made a strong case that settlements are a huge component of the conflict and one of the largest obstacles to two-state solution. A UNESCO resolution, spearheaded by the Palestinian Authority, catalogues and condemns Israel’s alleged violations of Moslem rights at Moslem holy places, primarily in the Old City of Jerusalem. Though the document acknowledges that Jerusalem is sacred to three religions, it consistently only uses the Arabic name for the holiest site of all – the Temple Mount (Haram Al-Sharif in Arabic). Nor does the resolution anywhere mention Jewish ties to the site, including to the Western Wall. The omission has been widely seen as a deliberate denial of a Jewish historical and religious connection to Jerusalem. It echoes assertions Yasser Arafat apparently made during the Oslo process, that there never was a Jewish temple on the Temple Mount and similar statements by Mahmoud Abbas. The resolution unnecessarily throws fuel on an already incendiary situation in Jerusalem, with religious sentiments on both sides at a boiling point. The absurd denial of Jewish history reinforces the conviction in many minds of an anti-Israel bias. Right-wingers are making much hay of the outcry. But Jews across the political spectrum are deeply offended, and rightly so. Even the Director General of UNESCO, Irina Bokova, felt the need to distance herself from her colleagues’ decision. “The heritage of Jerusalem is indivisible, and each of its communities has a right to the explicit recognition of their history and relationship with the city. To deny, conceal or erase any of the Jewish, Christian or Muslim traditions undermines the integrity of the site, and runs counter to the reasons that justified its inscription on the UNESCO World Heritage list. Working out arrangements that respect the needs of all three religions in Jerusalem is a delicate and weighty challenge. Israel has much to answer for. But the one-sided UNESCO resolution will do nothing but discredit UNESCO. Canadian Friends of Peace Now mourns the death of Shimon Peres, a founding father of Israel, former president, prime minister, Nobel laureate and courageous seeker of peace. In honouring his memory, we join with our sister organization, Peace Now in Israel, and with Jews, state leaders and ordinary people the world over. On Oct. 2, 2016, Peace Now exposed a plan being promoted by the Israeli government for a problematic new settlement deep in the heart of the West Bank. In the wake of Peace Now‘s whistle blowing, the U.S. Administration sharply criticized the move, calling it a violation of Israel’s commitments. The new settlement would be east of Shiloh and would allow the residents from the illegal outpost of Amona, who are under eviction order by by the Israeli High Court, to re-establish themselves on adjacent private land. Peace Now has vehemently protested the plan, arguing that it violates private property rights in the West Bank and would set a dangerous precedent that could lead to a proliferation of more settlements. Amona has a contentious history, with a first demolition order in 1997 and an evacuation attempt that turned violent in 2006. Peace Now has spoken out against this outpost for years. The White House and State Departments apparently agree. Both issued unusually harsh condemnations of the Amona announcement. On Oct. 5, spokesman Josh Earnest said the decision constitutes the violation of a commitment undertaken by the Israeli government to the U.S. Administration.”We had public assurances from the Israeli government that contradict this new announcement – so when you talk about how friends treat each other – this is a source of concern. There is a lot of disappointment and great concern here in the White House,” he said. The editorial goes on to urge a United Nations Security Council resolution “to lay down the guidelines for a peace agreement covering such issues as Israel’s security, the future of Jerusalem, the fate of Palestinian refugees and borders for both states.” President Obama should put his weight behind such a resolution the NYT piece concludes. Peace Now‘s Settlement Watch data show that settlement construction in the West Bank quadrupled over the past year, belying Israel’s presumed commitment to the two-state solution. The peace organization’s monitoring data show that 2,168 new housing units have moved forward since Sept. 2015. This number takes into account everything from initial plan submissions to final authorizations and is a four-fold increase over last year’s 553 units. In an article Oct 7, based largely on Peace Now data and an interview with Settlement Watch director Hagit Ofran, Ha’aretz reporter Judy Maltz discusses some of the troubling aspects of this surge. Much of the growth is taking place in two large settlements – Ariel and Efrat – which are considered part of the Israeli “consensus,” i.e., places that most Israelis view as a permanent part of Israel. Ariel is far from Israel’s internationally recognized border, or any likely future border. The larger it grows, the harder it would be to dismantle it in favour of a peace agreement. Thus it would stand as a significant obstacle to a viable Palestinian state. Efrat is much closer to the old border. But it extends over Route 60, the only north-south highway in the southern West Bank, and thereby encroaches on the development of the Palestinian city of Bethlehem. The accelerated growth also continued in many smaller settlements deep within the West Bank. In addition to the above-mentioned 2,168 new units, 1,170 units built without permits in previous years received retroactive approval. Not included in the list is a plan to expand Jewish settlement in Hebron for the first time in over a decade, and tenders for housing in East Jerusalem. Plus, the government has declared its intentions of legalizing six illegal outposts. Even this does not tell the whole story. Much construction is moving forward without tenders being issued. And there are many plans from previous years that have yet to be acted on. “The message it [the government] is sending the settlers is that they don’t need to worry about breaking the law, because eventually everything they build will be legalized rather than demolished,” Ofran told Ha’artz. With government sanction, Israeli settlers are steadily moving into a Palestinian neighbourhood in the heart of Silwan, which is just outside the Old City walls and is one of the most sensitive and volatile areas in Jerusalem. The incursion is documented in a new joint report by Peace Now and the Jerusalem-based NGO Ir Amim. The report is called: Broken Trust: State Involvement in Private Settlement in Batan Al-Hawa, Silwan. Since 2001, the report says, the Ateret Cohanim settler organization has been working to transform Batan al-Hawa into a large Israeli settlement through sales without tender, questionable acquisition of Palestinian properties, forced eviction and removal of Palestinian families who have lived in the neighbourhood for decades. If the settlers are successful, Batan al-Hawa will become the largest settlement compound in a Palestinian neighbourhood in the Historic Basin of the Old City. And it will significantly tighten the emerging ring of settlements around the Old City, creating,”an irreversible reality” which severely undermines the possibility of a future two-state solution. The attempted settler takeover threatens to displace 100 families – roughly 600 Palestinians – from their homes. By the end of 2015, The settler organization Ateret Cohanim had quadrupled the number of housing units in its possession, taking over a total of some 27 units in six buildings in the neighbourhood. In addition, 12 currently pending eviction claims threaten an additional 51 families. This well organized Ateret Cohanim campaign represents not only the displacement of an entire community but also the complicity of the Israeli government in facilitating private settlement in the Historic Basin. The report reveals that the government has acted through the General Custodian and the Registrar of Trusts (both under the Ministry of Justice) to facilitate settlers’ seizure of Batan al-Hawa, as well as providing roughly one million shekels each year to fund private security to radical settlers in the hearts of Palestinian neighbourhoods in East Jerusalem. At the same time, the State’s privatization of national parks around the Historic Basin to settler organizations enables the co-optation and politicization of archeology, the erasure of Palestinian history and neighbourhoods, and the dissemination of a one-sided, nationalist, narrative to hundreds of thousands of Israelis and tourists each year. This trend must also be understood as an essential component of the settlement enterprise. The emerging reality is disastrous not only for the residents of Batan al-Hawa, but for the possibility for a political solution to the conflict. All efforts must be taken to halt this trend – a mechanism being used to pre-emptively plant new facts on the ground, further crippling opening conditions for negotiating a two state solution. And on the other side of the equation…. A UNESCO commission has adopted an anti-Israeli resolution that disregards Judaism’s historic connection to the Temple Mount and casts doubt on the link between Judaism and the Western Wall. Twenty-four countries of the 58-member commission voted in favour of the decision, while 6 voted against, 24 abstained and 2 were absent. The U.S., Britain, Germany, Holland, Lithuania and Estonia voted against the resolution. Canada is a member of UNESCO, but not of the commission that passed the motion nor of the executive board that is expected to ratify it. Israel made efforts to block the resolution or at least soften it, but succeeded only in swaying the positions of a few member states. The resolution, which condemns Israel on several issues regarding Jerusalem and its holy sites, was advanced by the Palestinians alongside Egypt, Algeria, Morocco, Lebanon, Oman, Qatar and Sudan. The draft resolution asserts that Jerusalem is holy to the three monotheistic religions: Judaism, Islam and Christianity. However, it includes a special section dealing with the Temple Mount, which says the site is sacred only to Muslims and fails to mention that it is sacred to the Jews as well. In fact, it mentions neither the Hebrew term for the site – Har HaBayit – nor its English equivalent, the Temple Mount. The site is referred to only by its Muslim names – Al-Aqsa Mosque and Haram al-Sharif. Also, the resolution calls the Western Wall plaza by the Arab-Muslim name al-Buraq plaza. Only afterward does the Hebrew-Jewish name “Hakotel Hama’aravi” appear in quotation marks. Both the Israeli prime minister and the opposition leader have condemned the resolution, as have a number of major Jewish organizations, including ARZA, a branch of the Reform movement of America. Peace Now by May 20, 2016 to receive a complimentary copy of Yossi Alpher’s new book No End of Conflict: Rethinking Israel and Palestine. also eligible to receive a copy of this book. 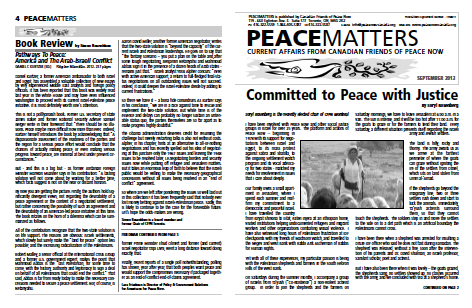 To take advantage of this limited time offer please contact us at 416-322-5559or info@peacenowcanada.org. Please reference Yossi Alpher. The Israeli government may create a new legal mechanism for maintaining outlawed settler outposts in the West Bank. Though designed to deal with one outpost, Amona, in the northern West Bank, the proposal could set a troubling precedent. Amona has been ruled illegal under Israeli law and slated for evacuation by the end of this year. A government committee has recommended that it be moved to adjacent private land, whose Palestinian owners reside outside the West Bank. Israeli law does not permit the confiscation or sale of such property. But the committee proposes leasing the land to the settlers for renewable three-year terms. The supposed temporary arrangement avoids the problem of the illegal sale of absentee property. Supposedly too, rental payments for the land would go into a fund the Palestinian absentee landowners would receive if they could prove ownership. Peace Now in Israel is vehemently opposed to the proposed mechanism and warns it crosses a red line by violating private property rights in the Occupied Territories. “The Israeli government cannot justify the stealing of private lands of absentees only to please the demands of settlers who themselves stole private lands,” Peace Now states. A Ha’aretz report says the Amona outpost was erected in 1997 on private land next to the settlement of Ofra. 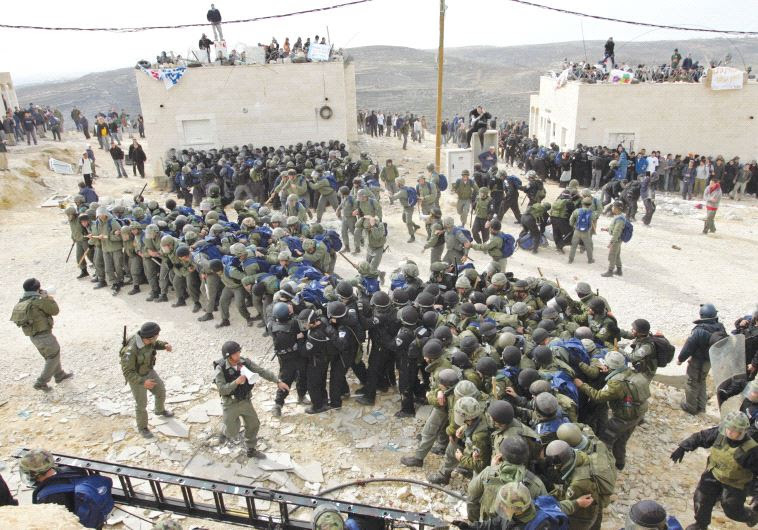 In 2006, evacuation of nine buildings led to a violent confrontation between security forces and settlers. The outpost has been at the heart of a legal struggle for the last eight years, after some of the Palestinian landowners went to court over their rights. In late 2014, the Supreme Court ordered Amona evacuated within two years. Israel’s attorney general is currently considering the legal issues of the proposed Amona move. Peace Now has sent him a letter urging him not to accept the committee’s recommendations. A document obtained by Peace Now reveals the big bluff behind the pretext of “military necessity” used since 1967 to seize Palestinian land, on which about one-third of the settlements were established. This method was used throughout the 1970s until it was banned by the Elon Moreh ruling in 1979. The uncovered summary from the Ministry of Defense discussion about the establishment of Kiryat Arba settlement reveals that when the system was invented, it was clear to the government and all concerned that this was a lie and deception, and that military necessity was only an excuse to take over land. 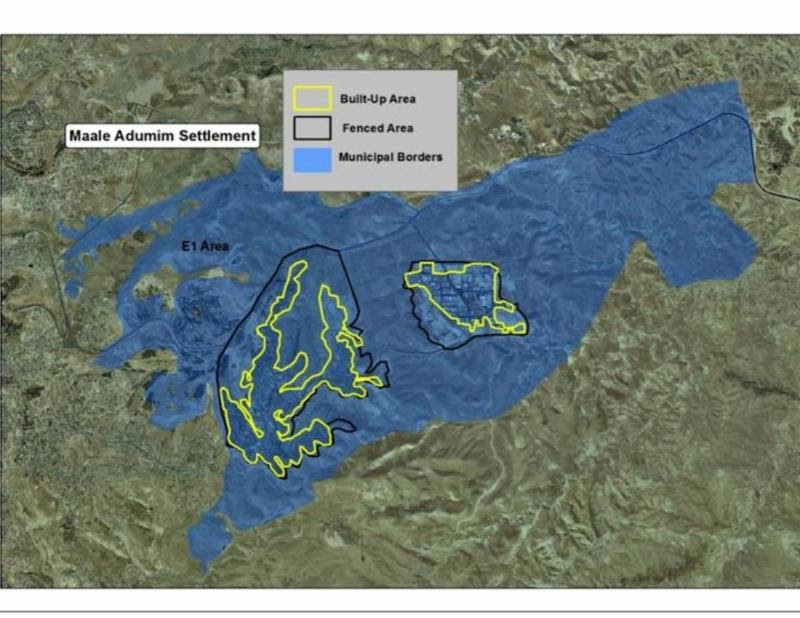 After the Elon Moreh verdict the “security needs” bluff was replaced by that of “declaration of state lands” used by subsequent Israeli governments to seize nearly a million dunam in the West Bank. But the aftermath of seizure for the so-called purpose of military necessity continues today in some settlements. Peace Now has protested the government issuance of 323 tenders for housing units in East Jerusalem. The organization says that the publication of these tenders, a day after demolitions of homes in Palestinian neighbourhoods is indicative of government policy. Meanwhile, according to Ha’aretz, Jerusalem’s City Hall is backing a plan, advanced by private developers to build thousands of new housing units in the East Jerusalem neigbourhood of Gilo. The plan, currently in its initial stages, includes the construction of some 2,500 housing units in the area east of Gilo, near Rout 60, located at the southern part of the capital. The plan, first reported by the Israeli outlet Walla News, covers an area of some 200 dunam (50 acres). Most of the designated land is under private ownership, and some 30 percent belongs to Palestinians who fled Israel in 1948. Peace Now has exposed plans by the Israeli government to allow construction of 28 new housing units for settlers in the heart of the predominantly Palestinian city of Hebron. The settler units would go on land seized in the 1980s by the Israeli military for stated security reasons and has been used as an army base since then. Israeli law prohibits civilian settlement of land expropriated for military needs. However, the government has found a way around this by changing the military status of part of the land – the part designated for settler housing. This, says Peace Now, is a clear example of the government bending the law to favour settlers. Prior to the military seizure order, the land in question had been leased to the Hebron municipality under a protected lease agreement. It had been the site of Hebron’s old central bus station. Peace Now says that if the property is no longer required for security purposes the protected lease with Hebron must be honoured. A legal opinion from 2007 by one of the government’s own legal advisers says essentially the same. The city of Hebron has a long history of tension between Arabs and Jews. That history includes the pogrom against Jewish residents of 1929, the contentious establishment of the Jewish settlement of Kiryat Arba, disputes over rights to the Cave of the Patriarchs and Baruch Goldstein’s massacre of Palestinian worshippers at that site. The Israeli government has taken steps to establish a new settlement south of Bethlehem that would contribute to cutting off this Arab town from the rest of the West Bank. The site of the proposed new settlement, called Givat Eitam, is close to Efrat and would in effect become an expansion of this large, well-established settler enclave. Givat Eitam would initially be built on land owned by Himanuta, a subsidiary of the Jewish National Fund. The Ministry of Housing is preparing a plan for 800 housing units on this land. To make this project more feasible, the government is conducting surveys to appropriate land for a road that would connect Givat Eitam with Efrat. Peace Now has publicized these plans and has petitioned the Israeli High Court to ensure more transparency and exposure of the project. The organization argues that the expansion of Jewish settlement south of Bethlehem would block the city’s development in almost the only direction that has not yet been blocked by other Israeli settlements or highways. It could also cut Bethlehem off from the southern West Bank. This would be a serious blow to the possibility of a two-state solution and the establishment of a viable Palestinian state alongside Israel. We recommend two excellent recent articles from The Forward (and there’s lots more great reading there besides.). 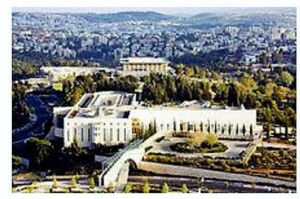 On July 11, despite strong criticism from both inside and outside the country, Israel’s parliament passed a controversial law that increases regulation of certain non-governmental organizations. The legislation requires NGOs that receive more than half their funding from foreign governments to state this in all their communications with public officials and with the media and on billboards and online. Representatives of these groups must also declare they depend on foreign contributions when dealing with parliamentary committees. Defenders of the law say it is required to provide “transparency.” Critics point out that the law will primarily affect liberal-leaning organizations and is intended to stigmatize them in the public eye. There are only 27 organizations in Israel that get more than half their funding from foreign governments. Of these, 25 are human rights or peace organizations identified with the left. They are already required to report their foreign funding, but the new legislation imposes extra levels of bureaucracy and publicity. In contrast, the law does not apply to NGOs receiving funds from private individuals or entities from abroad, which is how pro-settler and other hard right groups in Israel tend to get their money. They can accept millions from foreign magnates, Christian evangelicals and others, with little public accounting. Right wing politicians had wanted the law to be even harsher than it is. Previous versions would have labelled the NGOs in question as foreign agents and would have heavily taxed their donations from foreign governments. A particularly contentious provision would have had representatives of these groups wear “badges of shame” — special identification tags during meetings with government or Knesset officials. After a deluge of protest, these provisions were killed in committee. Nevertheless, many observers – and the groups affected – are calling the current law a violation of freedom of expression and a blow to democracy. “Tailored specifically to target only peace and human rights organizations, its true intention is to divert the Israeli public discourse away from the occupation and to silence opposition to the government’s policies,” Peace Now said in a statement. The organization vows to challenge the law’s validity before the Israeli Supreme Court. 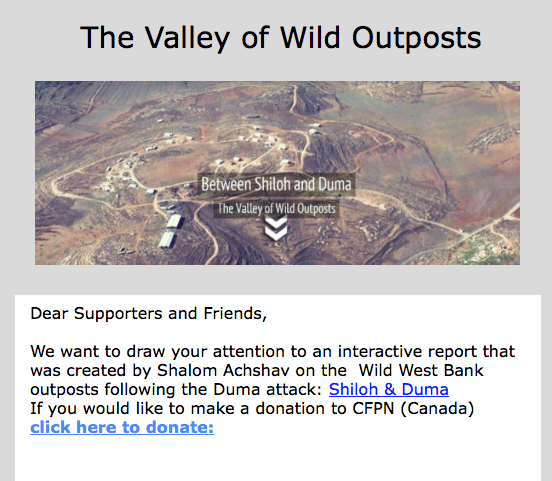 * CFPN donations fund educational activities in Canada and in Israel. The Oslo peace process is dead and Israelis and Palestinians are heading towards an ugly, strife-ridden bi-national reality. 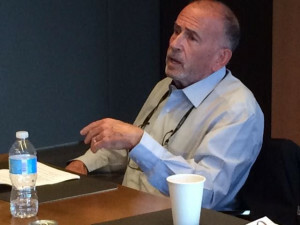 This was the sombre message delivered by prominent strategic analyst Yossi Alpher to Jewish audiences in Montreal, Ottawa and Toronto in early May during a three-city tour hosted by Canadian Friends of Peace Now. Almost 50 years of occupation and the settling of 1/10 of Israel’s Jewish population across the green line threaten Israel’s existence as a Jewish democratic state, Alpher said. This “internal threat” far out-shadows any external threat. Israel currently has good security relations with its Sunni Arab neighbours because of shared concerns over Iran and ISIS. But the occupation of millions of disenfranchised Arabs erodes the moral fibre of the country and will lead to increased internal friction and international isolation. Alpher warned of the consequences of these developments for the Jewish Diaspora. These issues would almost certainly torpedo any future peace initiatives based on the Oslo formula that “nothing is agreed until everything is agreed.” Alpher therefore called for interim measures that would slow the descent down the slippery slope to a bi-national reality rather than trying for a final status agreement now. But, he added, with the Middle East as volatile and unpredictable as it is, an unforeseen event could create riper conditions for a breakthrough down the road. 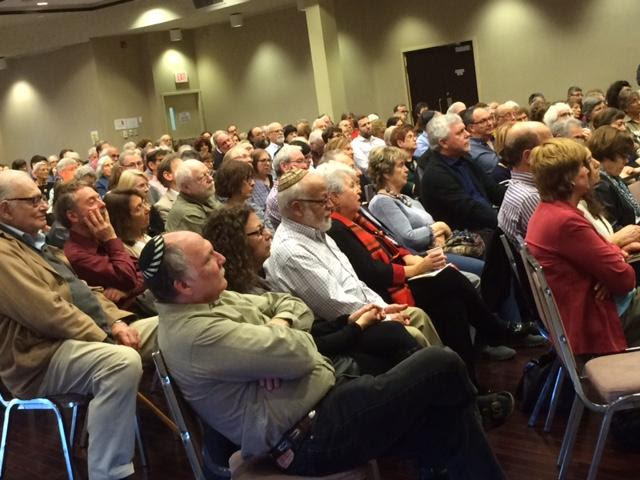 A full-house audience at Darchei Noam in Toronto. No light at the end of the tunnel? There is an old Israeli “joke” about the difference between a pessimist and an optimist which has the pessimist saying: “Things are so bad they could never get worse” and the optimist replying “Oh yes they could”. A tired jest perhaps, but one to keep in mind when reading Yossi Alpher’s recently published No End of Conflict: Rethinking Israel and Palestine. Alpher has excellent credentials as an Israeli security analyst and as a long-time advocate of a far-reaching two state solution. This is book will not meet with every peace campaigner’s satisfaction as it places much responsibility on the Palestinian leadership for failing to rise to the occasion in 2000-2001 and 2008, when a comprehensive peaceagreement was within reach. Nor will many be pleased with Alpher’s deep pessimism concerning the future. Truths can be inconvenient and uncomfortable. I find myself in essential agreement with Alpher on both these counts, but very puzzled by one of his main recommendations. But first things first. Most of the book is taken up with Alpher’s analysis of developments within Israel, consequently he takes pains to note that this is “not to diminish the role of the Palestinians and the Arabs in general in bringing about the current dangerous situation.” Indeed, he convincingly demonstrates that, when push came to shove, the Palestinians carried the lion’s share of responsibility for the failure to bring the Oslo peace process to an honourable ending. I am referring here to the Taba meetings in late 2000, where the Clinton parameters were up for grabs, and to the 2008 Annapolis process, where Israeli Prime Minister Olmert proposed a most generous peace offer. Yossi Alpher was involved in both these developments and reports, as have many others before him, that while the Israeli prime ministers involved (Ehud Barak and Ehud Olmert) were ready to make the necessary concessions, the Palestinian leaders (Yasser Arafat and Mahmoud Abbas) could not bring themselves to say “yes”. Even if one believes the Israeli offers could have been slightly improved upon – which I think is splitting hairs – one must recognize that, on the issues of refugees and Jerusalem holy sites, the Palestinian leadership was unwilling to sign off on the concessions that have been widely understood to be the counterparts to the concessions the Israeli leaders were prepared to make. That said, I think Alpher might have usefully devoted more attention to how ongoing Israeli settlement expansion and Palestinian violence contributed to poisoning the Oslo waters among both Palestinian and Israeli publics well before and after the decisive 2000 and 2008 opportunities. Nor does he hold out out much hope for intermediate measures that might slow the descent down a slippery slope to more entrenched occupation and festering conflict. In this picture the future looks extremely grim and eventually quite dangerous in a region that is increasingly unstable. Muddling through seems to be the best that we can look forward to. Not a happy story to be sure, but don’t shoot the messenger. Alpher used to be a prominent advocate of Israeli unilateral withdrawals from parts of the West Bank. But his enthusiasm for such measures has understandably been tempered by the Gaza experience where Israel’s unilateral withdrawal resulted in Hamas taking over the territory and using it as a base to militarily attack Israel. Caution is clearly warranted in this regard. Still, I believe there might be some value in a modified form of unilateral withdrawal: one that removes settlements in the area in question but maintains an IDF presence. This is no panacea, but might prove to be a relatively safe and useful measure which would relieve some of the demographic pressure facing Israel and make life somewhat more bearable for the Palestinians living in the effected area(s). I am very tempted to defer to Alpher’s experience on the viability of unilateral withdrawals, but not so when it comes to what he calls the #1 lesson to be learned from the failure of the Oslo peace process: the need to “separate and set aside pre-1967 issues.” Fundamental to Oslo’s final status negotiations was the principle that “nothing is agreed upon until everything is agreed to,” but now Alpher argues for the separation of post-1967 issues (borders, settlements, Jerusalem and land swaps) from pre-1967 issues (refugees and Jerusalem holy sites). He believes that mixing the two “is the equivalent of confounding apples and oranges”. I respectfully but strenuously disagree. The vast majority of Israelis will not – and should not be expected to – agree to significant concessions on borders etc. while the Palestinians are exempted from their share of the heavy lifting. Their share is to stop claiming a “right of return” to Israel for Palestinian refugees and to understand that an “end of claims” provision is central to any peace process. Alpher is not entirely clear in this book if he truly expects Israel to actualize its concessions while the Palestinians continue to be intransigent. It just doesn’t add up and will be received in Israel like a lead balloon. There is much of value in Yossi Alpher’s book, but his #1 lesson must be discarded. All this said, let there be no misunderstanding: a two-state solution is the only solution to the Israeli-Palestinian conflict. The fact that it is becoming increasingly difficult to realize this goal does not for a moment lessen the imperative to achieve it. At a bare minimum Israel’s ongoing settlement expansion must be stopped in its tracks. As Alpher has noted, Shalom Achshav (Peace Now) is the only organization in Israel whose priority it is to do so and which devotes significant resources to the task. The notion that Israeli is fated to be a permanent occupier is just not acceptable. On April 3, 2016, Israel’s Peace Now movement announced the hiring of Avi Buskila, a seasoned social activist and an advertising and public affairs professional, as Peace Now‘s new Director General. He is replacing Yariv Oppenheimer, who has been the leader of Peace Now and the most recognizable public face of Israel’s peace camp in the past 14 years. “After 14 years of acting as General Director, Yariv Oppenheimer has decided to step down from his position in order to pursue new challenges. Yariv, one of the bravest, sharpest and most talented individuals in the Israeli peace camp, will soon be joining Peace Now‘s Board of Directors, and we are happy to have him continue to contribute to our important cause. We are also happy and excited to welcome Avi Buskila, who will enter the General Director‘s position in the coming weeks. In recent years, Avi has worked in advertising and was the CEO of the advertising agency Migzarim. 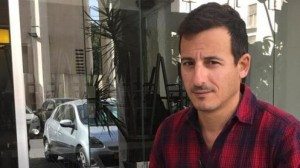 He is an IDF reserves lieutenant, a leading social activist and one of the initiators of the struggle against discrimination of LGBT individuals in the Israeli army. A recent Ha’aretz article notes that Buskila first came to public attention in January 1997 when, as a lieutenant in the IDF, he stopped a soldier from shooting indiscriminately at Palestinians in a Hebron marketplace. Benjamin Netanyahu, then serving his first term as prime minister of Israel, praised Buskila’s action. The handshake between them made the cover of the NewYork Times. A new report published by Israel’s Peace Now movement reveals that, in 2015, construction continued throughout West Bank settlements, with 1,800 housing starts. These findings refute the argument that a “silent freeze” is currently in place. The report shows that the bulk of the construction – 79% – was in isolated settlements that would probably have to be evacuated to secure a permanent status agreement with the Palestinians. In other words, this new construction is especially problematic vis-a-vis the two-state solution. Earlier this year Benjamin Netanyahu argued, in English, that he is the Prime Minister who has built the least in the settlements. But in Hebrew he proudly demonstrated to Likud members the increase in settlement construction during his time in office. It is clear that Netanyahu’s statements in Hebrew are more representative of the reality on the ground than what he says in English for foreign ears. 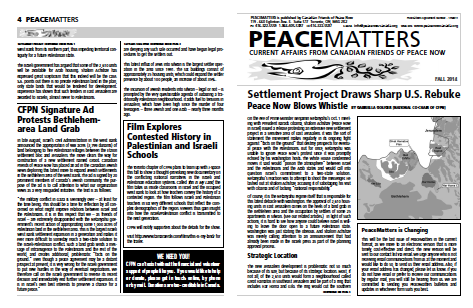 Peace Now’s Settlement Watch department, which produced this report, continually monitors and exposes the government’s action in the settlements to create a public debate on the government’s policies, mobilize protest against such policies, and prevent unbridled settlement construction. 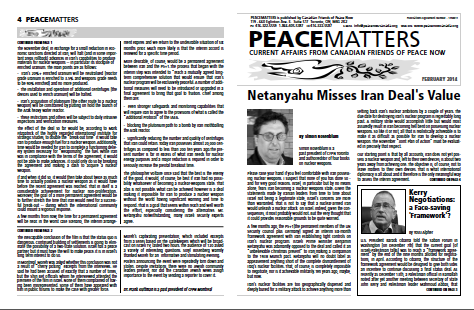 The Peace Now report garnered considerable coverage in the Israeli press. In 2015, construction for 1,800 new housing units began in the settlements. Over 40% of the construction took place (746 housing units) east of the separation barrier. 79% of the construction starts took place in settlements east of the Geneva Initiative potential border, in settlements that Israel will probably need to evacuate under a permanent status agreement. The infrastructure of lots for the construction of at least another 734 housing units was developed and construction there is expected to begin soon. 265 housing units (15%) were built in illegal outposts. 1,547 of the housing units are permanent structures and 253 are mobile units. 63 public structures (synagogues, kindergartens, etc.) and 42 industrial or agricultural structures were constructed. According to Peace Now estimates and based on Civil Administration data, 32 housing units were built on private Palestinian land, almost all of them in illegal outposts. A new illegal outpost was established south of the Nofei Prat settlement – in an area in which the government operates intensively to demolish Bedouin houses along Rte. 1 toward Jericho. Despite the declared “tenders freeze” tenders for 1,143 new housing units were published in 2015. Despite the declared “planning freeze” the High Planning Committee approved 348 new Housing units for depositing or validation. 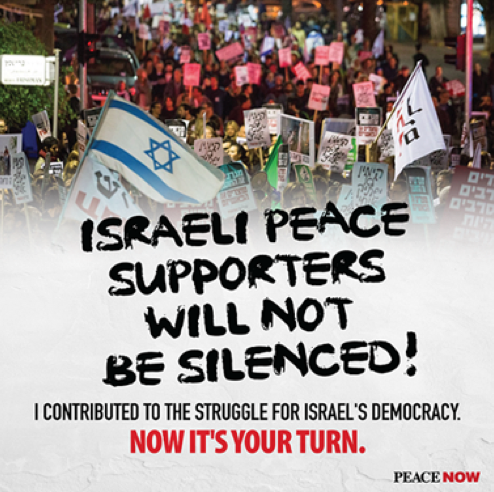 Peace Now in Israel, along with other progressive NGOs, is under attack, as never before, by the Netanyahu government. Now more than ever is the time to show your support for Peace Now’s crucial and courageous work. You can still make a donation and receive a tax receipt for 2015. On Dec. 27, the Netanyahu’s cabinet endorsed a bill that, among other measures, compel representatives of organizations such as Peace Now to wear a badge whenever they are in the Knesset, stating that their organization receives funds from foreign governments. Contrary to allegations of the bill’s backers, its objective is not to secure “transparency” of non-profit funding, but rather to attack Israeli organizations that challenge the policies and the agenda of Israel’s right wing government. The bill is about de-legitimizing these groups by depicting them as agents of foreign governments. Almost all Israeli NGOs receive funding from abroad. Foreign support for Israeli human rights, civil rights and peace organizations comes mainly from foreign governments and foundations. Foreign funding for right-wing Israeli NGOs comes mainly from US Evangelical foundations and wealthy US right-wing Jews such as casino mogul Sheldon Adelson. Some also enjoy Israeli government support. The bill adopted by the Israeli Cabinet’s Legislation Committee targets only the type of foreign funding that progressive NGOs receive, although these NGOs publicly state, in keeping with existing law, what the source of their funding is. The bill, however, permits right-wing NGOs — like those funding West Bank settlements and anti-democratic and racist campaigns – to continue keeping their funding sources secret. In short, the bill is about shaming, stigmatizing and silencing. The government wants to silence those that expose the truth about its destructive policies that are destroying hope for a future two-state solution to Israel’s conflict with the Palestinians. And what kind of activity would the right-wingers like to suppress? Precisely, the kind of well-documented reports on settlement expansion that Peace Now produces. This week, Peace Now revealed that the Housing Ministry is working on settlement construction in the West Bank and East Jerusalem valued at more than NIS 330 million ($85 million). The organization bases its claim on ministry documents it obtained through the Freedom of Information Act. 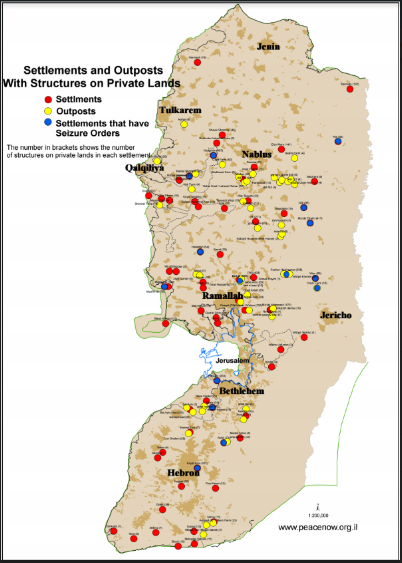 This data and other sources show the ministry to be working on plans for 55,548 units in West Bank settlements, half of which are located east of the West Bank security barrier. The documents also confirm “post-facto legalization/approval of at least six illegal outposts,” plans to create new settlements south of Bethlehem and in the northern Jordan Valley (the latter on the site of an illegal outpost established in 2013), projects to expand smaller settlements into bigger towns, and plans for 8,372 units in the E1 area slated to more closely connect Ma’ale Adumim to Jerusalem. In other ways too, Peace Now is not taking the efforts to silence it lying down. It has published a report indicating that 94% of the funding of right-wing NGOs is non-transparent. Earlier this month its supporters marched in protest over the vicious incitement campaigns of right wing groups against progressive NGOs. They also demonstrated against the anti-democratic NGO bill. In addition Peace Now representatives have spoken out against the anti-democratic wave in numerous TV, radio and newspaper interviews. They are doing their part. Let’s do ours. Help them increase their impact in on the future of Israel. Please click on the “Donate” button and make your tax deductible donation before the end of the year. Peace Now has scored an important communications coup with an opinion piece in Newsweek, one of America’s premier newsmagazines. The article on the so-called transparency bill appeared January 10, 2016 and is by Anat Ben Nun, Director of Development and External Relations for Peace Now. In this piece, reprinted below, Anat lays out how lop-sided the bill is, with right-wing organizations given the green light to receive foreign funding, while NGOs such as Peace Now are stigmatized. Unable to deliver real solutions to the ongoing violence, Israeli governments have been trying for years to blame the messengers rather than take responsibility for their own policies. Last week, this practice was taken to the next level when a ministerial committee approved the NGO bill, proposed legislation targeting specifically peace and human rights organizations. If the proposed legislation is truly aimed at increasing transparency, it must require all NGOs to expose their funding sources, instead of denouncing left-wing organizations, which are already held to higher transparency standards. A Peace Now study examining the funding of nine pro-settler NGOs reveals that 94 percent of the donations to these organizations in 2006-2013 were non-transparent. Out of 495.4 million shekels ($126 million) donated to them during the years studied, it was impossible to identify the names of the individuals or bodies who donated 464.8 million ($118 million). While a majority of the donations to the organizations studied were received from individual donors-predominantly from the United States-many additional millions reached these organizations through Israeli government ministries and local municipalities. It is clear from this data that both American and Israeli taxpayers contributed to the right-wing agenda and the settlement enterprise, and not necessarily willingly. This occurs through the subsidizing of tax-deductible donations in Israel and the U.S. and through the transferring of state funds derived from taxes paid by every Israeli citizen. Let us take for example Im Tirzu, an organization responsible for an inciting billboard and newspaper campaigns against specific human rights activists, whom it referred to as foreign agents and assisting terrorism. Only 12 percent of the donations to Im Tirzu in the years studied were fully transparent, and the vast majority of donations to this organization came from American organizations with a tax-deductible status, such as the Central Fund for Israel and the One Israel Foundation. It may be worth noting that the former fund also transferred donations to the Honenu organization, which receives tax-deductible donations even though it provides cash grants to convicted Jewish terrorists. Or how about the ElAd organization, an NGO working to establish settlements inside Palestinian neighborhoods in East Jerusalem in an effort to prevent the possibility for a future peace solution in the city? In the years studied, 97.8 percent of ElAd’s donations came from abroad. A list of those donating over 20,000 shekels ($5,000), as required by law, has not been submitted to the authorities since 2005, and even then, the list was granted due to an investigation by the registrar for associations. Given that the origins of ElAd’s foreign funding sources are unclear, why is it that only left-wing NGOs are required to submit quarterly reports and are now told that even that is insufficient? Finally, let us look at the Samaria Settler Council, a nongovernmental organization working alongside its local municipality in the Occupied Territories. The Samaria Settler Council is notorious for the video it published last year attacking left-wing organizations using Nazi motifs. This group is surprisingly 100 percent transparent,and no less than 97.6 percent of its funding comes from Israeli taxpayers’ money. The Council enjoys government funding from the budget of the Ministry of Interior, as well as from transfers originating in other government ministries. Thus, we Israeli citizens are forced into funding its inciting propaganda. The NGO bill does not apply to any of the organizations above. The legislation looks specifically at funding from foreign governments, who donate only to organizations with whom they share values, and in sums much lower than those of the organizations we examined. Meanwhile, under the proposed legislation, right-wing organizations will continue to receive large sums of money from foreign funders with little to no accountability. With only 6 percent of all of the donations received by these organizations in the years studied being transparent, how can anyone buy the argument that the proposed legislation’s aim is to increase transparency? The NGO bill cannot be taken at face value. Rather, it must be understood as part of an orchestrated campaign to silence dissent. This campaign is influencing the Israeli public discourse, and creating the type of toxic atmosphere which recently allowed a young Israeli to try to attack protesters in a Peace Now demonstration. Together with incitement against Israel’s Arab population, the modification of civics education, and the banning of a book describing a Jewish-Palestinian love affair from literature classes, Israel is sacrificing its essential democratic values on the altar of continued rule over the Palestinians. Rare are the leaders who, instead of swimming with the flow, choose the most difficult task of all and work to change its trajectory. Such was Yossi Sarid, a leader who made breakthroughs, who told the truth, who shaped public opinion and did not serve it. A role model, a loud piercing voice, which in times of confusion and dilemmas showed the way for many and served as an ideological compass for many thousands. 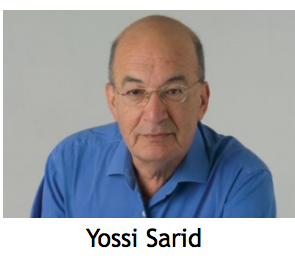 Yossi Sarid battled against settlements, battled against the right-wing, battled against polluters, battled against the wealthy, battled against religious coercion, but above all, Yossi Sarid battled against populism, against yielding to public opinion, to the position of the majority and the desire to please. Sarid did not believe in the political center, he despised those public officials who were adapting themselves to the ideology of this and that. Of also wanting peace and supporting the settlements, of supporting human rights and supporting the occupation, of also wanting to strengthen the periphery and supporting massive investment in the Territories. Sarid would never have given a political speech about peace in Ariel (settlement), would never declare united Jerusalem together while supporting a Palestinian state and would not demand social justice within Israel while simultaneously accepting the lack of rights of Palestinians across the Green Line. Difficult is the life of a prophet of truth, it is not always pleasant to remain outside of the warm lap of consensus. Sarid often found himself a lone voice in the opposition, but because he was a true ideologue, sharp and incisive, he got to feel the moment in which he had the ability to change public opinion, influence the path of the state and make a real difference. Very few politicians will have such moments and a place of honor in the political and social history of the State of Israel. Alongside telling the truth and presenting clear and incisive views on any subject, he managed to do the almost impossible and remain both relevant and meaningful. Thanks to his tremendous knowledge, rhetorical ability, wit and personal example, Sarid managed to get beyond the delegitimization campaigns and present incisive and reliable stances that cracked the Israeli consensus. Many of those who will eulogize him in the coming days, were the objects of Sarid’s relentless attacks … and they exposed their ideological nakedness. They, in turn, saw Sarid and often felt, deep down, great respect bordering on envy for the courage and determination to tell the truth and not to cut corners to please. This feature is what turned Sarid into a leader in his lifetime and it is what makes his legacy meaningful even after his death. As Israel’s current wave of terrorist violence enters its third month, long-simmering tensions between the country’s political leadership and its security branches are escalating and approaching what feels like a crisis level. The best hope for a breakthrough in the Israeli-Palestinian stand-off is via the Saudi-sponsored Arab League Peace Initiative, Prof. Mark Rosenblum told audiences in Toronto and Ottawa last week. Relations between the two peoples, both at the leadership and at the “street” level, have become so poisoned that neither side would be likely to trust overtures by the other, even if any such positive moves were forthcoming. But none are. Instead, both sides have become more deeply entrenched in hard-line positions than ever. Prof. Rosenblum is founder of Americans for Peace Now and an award-winning historian at Queens College, City University of New York. His visit to Canada was organized by Canadian Friends of Peace Now. One huge obstacle is poor leadership, Rosenblum said. The Palestinian leader, Mahmoud Abbas, demonstrated in his recent, highly mendacious speech to the UN, that he has no interest in reaching out to Israelis. He is scorned by Israel, but his failure to improve anything for Palestinians makes him a lame duck among his own people as well. Israeli Prime Minister Benjamin Netanyahu is a consummate politician, rather than a statesman. He soon will have managed to stay in power longer than any of his predecessors, but he has no vision for his country, refuses to confront the reality of Israel’s self-defeating Occupation and engages in alarmist rhetoric and provocative tactics. He “plays to the hard right” of the Israeli electorate, because that is the greatest threat to his continuation in office. Complicating the picture is the deep rift between Abbas’ Fatah party and Hamas. The enmity between them makes it easy for Netanyahu to disengage and feeds Palestinian despair. Corruption in both Fatah and Hamas, along with the hardship of Occupation, has led to Palestinian despondency and cynicism, which in turn have helped birth the latest “knife intifada” – the daily acts of violence by “lone wolf” Palestinians against Israeli Jews. The new wave of violence shows Israelis “what a one-state solution would look like,” Rosenblum said. It is a preview to the never-ending civil war that would result from de facto annexation of Palestinian territory. In addition, the violent conflicts in various Arab countries are having dangerous ripple effects throughout the Middle East. The collapse of nation states – most notably Syria – has enabled the proliferation of lawless, warring, uncontrollable terrorist groups and created a huge refugee problem. The wider chaos has overshadowed the Israeli-Palestinian conflict. International interest in brokering peace between Israelis and Palestinians has been diverted to the bigger catastrophes. And so the Palestinian issue has been allowed to fester, which does not serve Israel’s long-term interests. However, the changing Arab world also opens up an important opportunity, Roseblum said. Saudi Arabia, fearing Iran’s hegemonic ambitions, is interested in a strategic alliance with Israel. Its Arab League Peace Initiative, launched in 2002 and amended three times, offers Israel peace with a large swath of the Arab world in exchange for implementing the two-state solution. The latest amendments provide for land swaps between Israel and Palestine that would allow large settlement blocs to remain in Israel. Plus, there is language that could be used to resolve the thorny “right of return” issue. With such wider Arab backing, a Palestinian leader could be persuaded to stick his neck out and take a chance on steps towards peace. Unfortunately, Netanyahu has not recently shown any interest in encouraging this opportunity. 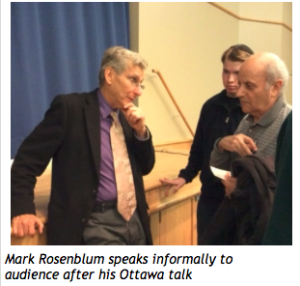 Prof. Rosenblum’s glimmers of hope also included a couple of outstanding individuals in the Israeli-Palestinian drama. One is Ayman Odeh, leader of the Joint List, the new unified Israeli Arab party, who could potentially lead a movement of greater cooperation between Israeli Arabs and Jews. If he could win Jewish trust and be considered a partner in a governing coalition, the right-wing stranglehold on Israeli politics could be broken. 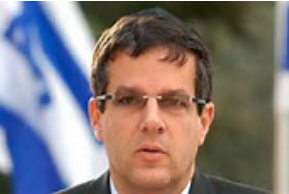 Rosenblum qualified his praise of Odeh by saying the Joint List leader needs to speak out more strongly against the daily knifings of his fellow citizens to gain credibility among Jews. Another bright spot is Bashar Masri, a Palestinian entrepreneur who has built Rawabi, a planned, modern and “stunning” city in the West Bank and who has financed other major Palestinian state-building enterprises. Masri has done all this in cooperation with Israelis on the “right side” of the green line, in contrast with the general trend among Palestinians to spurn anything that smacks of “normalization” with Israelis. By doing so Masri has demonstrated courageous, far-sighted leadership. Masri’s initiatives are an endorsement of the two-state solution – the only way forward – Rosenblum stressed, though it must be built step-by-step, with solid security arrangements to ensure a viable, peaceful Palestine alongside Israel. Yuval Rabin, son of Yitzhak Rabin, spoke to capacity-filled venues in Montreal and Ottawa on Oct. 14 and 15, in events organized by Canadian Friends of Peace Now to commemorate the 20th anniversary of the late Israeli prime minister’s assassination. Rabin stressed the need for negotiations and diplomacy in dealing with the Palestinians, rather than relying on force alone. Continuing the Occupation and merely “managing” the situation through mailed-fist tactics is the road to disaster, he said. He called for a regional approach to breaking through the stalemate by enlisting support from a number of Arab countries whose strategic interests have become more aligned with Israel’s in recent years. The idea is the core of the Israeli Peace Initiative, which Rabin, along with a number of prominent Israelis, launched in 2011 to prod their government towards a new paradigm for seeking peace. Regional support is essential, he said, because the Palestinians on their own are incapable of making the necessary concessions that would lead to an agreement. The backing of significant Arab powers in the region could make such concessions more possible and help bridge the deep Israeli-Palestinian divide. Rabin said his father was uncompromising on Israel’s security and committed to its military strength. But he also understood the need to end Israeli rule over the Palestinians to preserve the existence of a democratic Jewish state. In paying homage to his father’s legacy, Rabin also spoke of the poisoned atmosphere – the right-wing incitement – that “paved the way for the assassin.” Tragically, he said, such incitement against more moderate Jews continues today, along with violent sentiments and sometimes violent acts directed at Arabs. Equally tragic is that most Israelis are stuck in a dangerous rut. In times of quiet, they ignore the Palestinian issue and when violence breaks out, they argue “there is no partner.” For its own interests, Rabin said, Israel must take pro-active steps towards peace. On July 24, 2015, Peace Now (Shalom Achshav) will host a large, one-day conference titled “Israel Now,” aimed at re-energizing peace and democracy efforts in the country. Funded by Canadian Friends of Peace Now, this program will be delivered on our behalf by our sister organization in Israel. Some 500 participants are expected to attend the event in Tel Aviv, including many young people. Speakers will include prominent figures from the Israeli left and centre left, media and arts personalities and academics. They will discuss the implications for peace and Israel’s social fabric in the wake of the recent Knesset elections, last summer’s Gaza war, and tumultuous developments around the Middle East. Media coverage will bring the discussion to the public at large, as will the uploading to Peace Now’s web site of videos of all the sessions. Shalom Achshav hopes thereby to deepen public understanding of peace and democracy issues and promote greater civil society participation, which usually lags after an election. Confirmed speakers include: MK Ayman Odeh (head of The Joint List), MK Zehava Galon (head of Meretz), MK Shelly Yahimovich (Zionist Camp), MK Zouheir Bahloul (Zionist Camp), MK Itzik Shmuli (Zionist Camp) MK Yossi Yona (Zionist Camp), MK Revital Swid (Zionist Camp), MK Ahmad Tibi (Joint List), MK Michal Rozin (Meretz), MK Tamar Zandberg (Meretz), MK Ilan Gilon (Meretz), Amnon Abramovich (Channel 2 News), Raviv Druker (Channel 10), Barak Ravid (Ha’aretz), Doron Tzabari (Film Director and Journalist), Dr. Tomer Persico and Dr. Alon Liel (Tel Aviv University), Nir Braam (author), Yuli Novak (Breaking the Silence), Dr. Tamar Hermann (Israel Democracy Institute). Canadian Friends of Peace Now is proud to be sponsoring this important event. We thank our donors for making programs like this possible and welcome your continued support. We will report on the conference shortly after it takes place. We also hope to provide links to some subtitled video excerpts. (All sessions will be available in Hebrew.) Stay tuned for more on this exciting event later this month. Thanks to substantial media coverage of his recent visit to Canada, peace activist Daniel Seidemann’s message about the dangers of continued Israeli rule over Palestinians has reached a potentially wide audience, particularly among Canadian Jews. 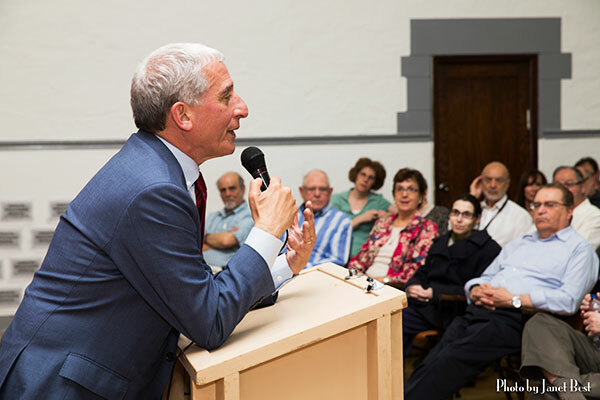 Seidemann, an internationally renowned lawyer specializing in conflict over Jerusalem, spoke in Toronto and Montreal on April 30 and May 3 under the auspices of Canadian Friends of Peace Now. Though not a household name, Seidemann has a stellar reputation as a progressive Zionist highly knowledgeable on Jerusalem issues. He is regularly consulted by high-level European and American officials working on the Israel-Palestine file. During his public talks in Canada, Seidemann described Jerusalem as a de facto divided city, with most Israelis afraid to venture into neighbourhoods dominated by Palestinians and vice versa. Eruptions of deadly violence have become commonplace. 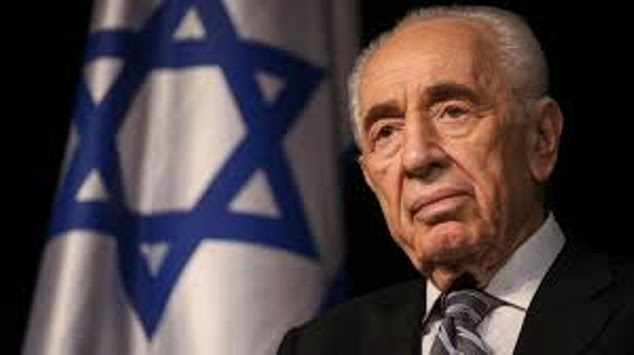 He warned that Israel could never achieve a peace deal with the Palestinians and the Arab world while maintaining Jewish power over all Jerusalem and continuing to disenfranchise its Arab population. He believes the city must and can become a shared capital of both nations. Though it would be complicated to divide jurisdiction over Jerusalem, and although the Temple Mount would present a special challenge, Seidemann says this could be achieved with political will. He is certain Jerusalem would not be the sticking point if both parties were willing to negotiate an agreement. 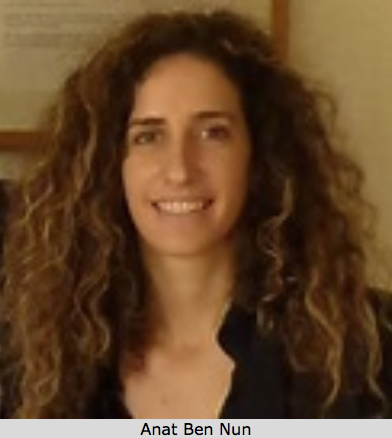 The Toronto Star’s foreign affairs reporter, Olivia Ward, wrote a major feature on Seidemann’s analysis of the Jerusalem situation in the May 3 issue of the newspaper. 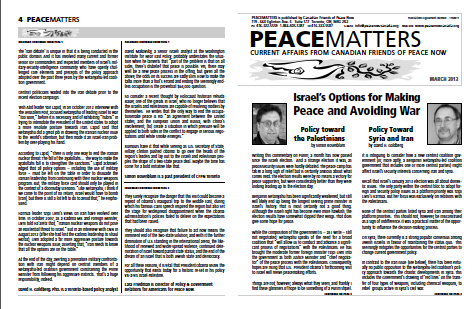 The Canadian Jewish News covered his talk at Toronto’s Holy Blossom Temple and published a solid summary in its May 7 edition. The CJN is distributed to Jewish centres across Canada, while the Toronto Star is one of Canada’s largest circulation dailies. Both articles are online. Help us cover the costs of the Seidemann tour and organize more educational events on the two-state vision. Your donation receives a tax receipt. Israelis who ignore the consequences of the Occupation are “sipping cappuccino on the edge of a volcano,” according to Daniel Seidemann, a human rights lawyer and founder of the watchdog NGO, Terrestrial Jerusalem. Speaking to a luncheon for major CFPN donors in Toronto, Seidemann warned that despite the current relative lull in Israel-Palestinian violence, tensions are simmering and could to lead to eruptions that mirror last summer’s. With the collapse of the U.S.-led peace negotiations and the election of a hard right Israeli government, Palestinians will feel they have nothing to lose. The long-term consequences of the status quo are even more dire. “If Israel continues on its path to becoming a bi-national, occupying state, Israel won’t be. There’s no greater threat to the longevity and viability of the Zionist enterprise than the Occupation,” he said. Though he firmly believes a peace agreement via a two-state solution is doable and even desired by the majority of Israelis and Palestinians, Seidemann sees big obstacles ahead. The U.S. is fed up with Netanyahu’s intransigence and not likely to renew a peace initiative in the foreseeable future. Leadership on the issue will more probably come from Europe through a U.N. resolution on a two-state solution or a Framework proposal for a final status agreement, or both. And Netanyahu will ring the alarm bells. “He plays on the fears and anxieties of Israelis and Jews like a virtuoso on a Stradivarius,” Seidemann said. Though he didn’t dismiss Israeli security fears as groundless, Seidemann argued that Israel needs “doses of reality” from its friends. It needs its western allies to react firmly against settlement expansion. Every year that sees more settlers in the West Bank makes eventual evacuations more costly and difficult, he pointed out. At a certain point it will be unfeasible and the two-state vision dies. He also warned that Israel is marching towards pariah status. Increasingly, young people in the West are alienated by Israeli policies towards Palestinians. This gives oxygen to the Boycott, Divestment, Sanctions (BDS) movement and to anti-Semites. Voices for moderation do exist in Israel, Seidemann stressed. Some of the most outspoken have been retired Israeli security captains. Their activism, as well as unease about the status quo among business and academic leaders, offers a glimmer of hope that there could be some forward movement on peace despite the politicians. Your support is crucial to bringing voices like Daniel Seidemann’s to Canada’s Jewish community. Please make a donation if you have not already done so.